If you want to sustain healthier hair and promote hair growth, you’ll need clean hair follicles. The majority of hair products on the market today could cause clogged pores and dead skin, that build up in your scalp that could potentially make your hair to look weak, unhealthy, oily and leads to slow hair growth or the loss of hair. How You Can Detox Your Scalp For Healthier Hair: This scalp detox for hair growth remedy is made up of a mask and a scalp massage that can help to get rid of the dead skin cells from your scalp. 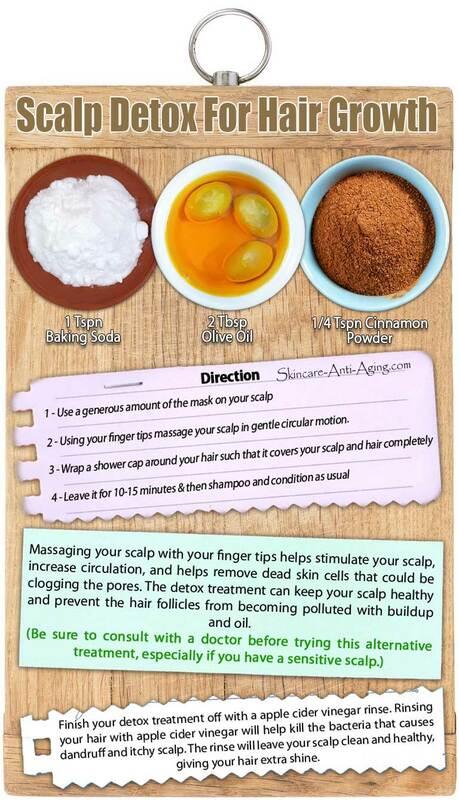 It will help you to detoxify your hair follicles, oil glands, and scalp.